A haunting, historic ghost story just in time for Halloween! 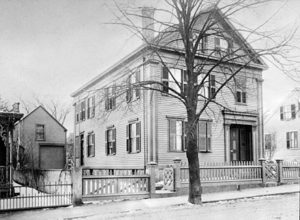 Ever wondered what happened to the Borden family after “Lizzie Borden took an axe”? My historic ghost story “Mr. Borden does not quite remem—” is available today (for free!) in Kings River Life Magazine. I hope you enjoy reading it as much as I enjoyed writing it. Because I like ghosts. And old houses. And women who make trouble. Sorry, there is no contest running at this time. Please check back soon. © copyright Ana Brazil 2019. All rights reserved.